Women wear many hats in life – professionals, wives, mothers, sisters, friends and a plethora of others. But no matter what role a woman plays, she usually finds herself also being a decision-maker for her family, especially when it comes to important decisions like health care issues. Women are also multi-taskers and self-sacrificers, which means when it comes to health care, they do an amazing job of ensuring everyone around them is healthy but may take a backseat approach to their own health care. There is no better time than the present for women to start making their health a top priority, so they can continue being everything to everyone else. Talk to your primary care doctor and/or OB-GYN about important exams, screenings and vaccinations based on your age, personal and family history, and symptoms. Before your appointment, make sure you’re asking the right questions and are prepared to discuss your family and personal histories. To learn more, visit the CDC’s website, packed with various healthy living resources for women. Did you know colon cancer is one of the leading cancer killers among women, right behind breast cancer? Eighty percent of women schedule regular mammograms, but only 60 percent of eligible women get regular colonoscopies. If you’re 50 or older, make sure you add “colonoscopy” to your priority list, which can detect colon cancer in its early stages, when it’s 90 percent curable, or prevent it completely. 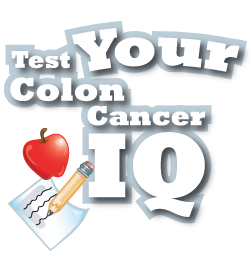 Find out if you could be at risk of colon cancer. Wear boxer shorts backwards. If you don’t want to bare all, boxer shorts can help maintain your modesty. Use diaper rash cream and flushable wipes to alleviate discomfort during the prep process. Share the experience. 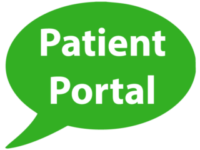 Schedule your colonoscopy on the same day as a friend and go through the process together. You might make some lasting memories. Reward yourself. The day after your colonoscopy, schedule a nice dinner to celebrate your step toward better health! Start a conversation about healthy eating, your doctor’s appointments or your health concerns.